Delivering quality roofing for 18 years and counting! Rocking J Construction, Inc. is your go-to local roofing, fence repair and storm damage restoration contractor providing the community with reliable and quality home repair services. 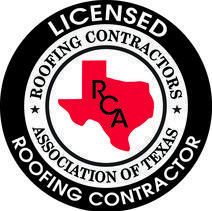 Rocking J Construction, Inc. was founded by Jay Gravett to address the problem of too many insured and unlicensed roofing contractors in the area. Jay saw homeowners getting preyed on by insurance scammers willing to do and say anything to make a quick buck off damaged homes and properties. Making promises they didn't keep and using low quality materials are just some of stories we've heard from customers. Due to this horrible trend, Rocking J Construction, Inc. provides full worker's compensation and liability insurance to protect the rights of homeowners. 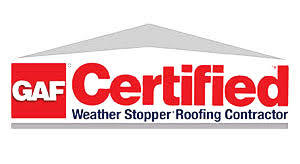 We are BBB accredited, RCAT Licensed, and a member of South Lake Chamber of Commerce so you know you can trust the work and integrity of our company. Call us to see how we can help improve your home today! Rocking J Construction, Inc. offers both residential and commercial roof repair and replacement. We use only quality tools and materials to get the job done efficiently and up to the highest industry-standards. Our roof technicians are all experienced and knowledgeable about the roofing trade, ready to handle any major damage as well as answer any questions the homeowner may have. If you have reoccurring problems with any part of your roof, or would just like to find out what improvements you can make to your roof, call us today to schedule an in-home cost estimate! On top of roof repair, we also offer complete fence restoration as well as wooden deck staining! If you have a fence on your property that looks worn, damaged, or is completely failing, call Rocking J Construction, Inc. to help! We can restore the beauty and function of any fencing structure, using as much of the original material as possible. When needed, we can replace material to make your fence look great and perform well. If you have a fence that needs repair, give Rocking J Construction, Inc. a call today! As many homeowners in the Dallas/Forth Worth area know storm season can cause major damage to any home or property. Keeping track of multiple contractors to get every repair job on your property done can be time consuming and a hassle. That is why Rocking J Construction, Inc. offers complete general contracting services for properties that have been affected by storm damage. From the roof, to the interior of your home, to the outside structures surrounding it, you can rest assured that Rocking J Construction, Inc. can handle everything and more to get your property back to functioning well and looking beautiful! When a storm hits or damage is done to your residential or commercial property don't hesitate, call Rocking J Construction, Inc. to get the best and most reliable home contracting service around!